The spring Rocket League Championship Series is over and the League of Legends summer season is just getting started, but punctuating the relative quiet this weekend are some big showdowns in both Dota 2 and Smash Bros. Wii U. Also Nintendo seems to have finally gotten on board with its grassroots competitive fans. You can watch the reaming series here. With the summer season officially upon us, the LCS returns for the second week with matches in Europe at 11:00AM EDT featuring Misfits and ROCCAT followed by Ninjas in Pyjamas vs. G2 ESports at 2:00PM EDT. Matches will take place on Sunday at the same times, while in North America today it all starts with Team Dignitas vs. TSM at 3:00PM EDT and Sunday at the same time with Echo Fox vs. Cloud 9. Things cap off at 6:00PM EDT that night with Phoenix1 looking to pick up their first win of the season against FlyQuest. 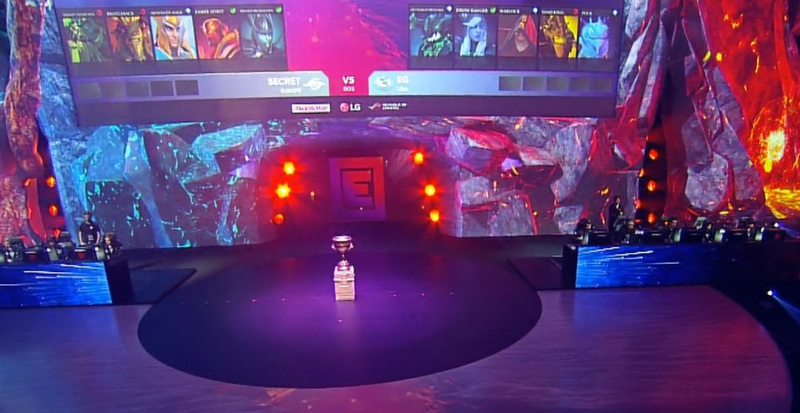 Meanwhile overnight bbq Olivers face ROX Tigers at 4:00AM EDT in South Korea and Edward Gaming start the LPL’s last round of matches for the week with a best-of-three series against Snake Esports at 2:00AM EDT. The PGL Major Kraków 2017 Americas Minor will finish up this weekend with the first day of play-offs beginning at 1:00PM EDT when LG face Cloud9. Matches will go all day in the $50,000 tournament and resume Sunday at the same time in the afternoon with the grand finals slated to kick-off at 9:00PM EDT. You can watch those matches here. The Yoggi Yalla Cup 2017 is also taking place this weekend online. The quarter finals begin today at 11:30AM EDT with Red Reserve vs. Atleterna with the finals scheduled for Sunday. Those matches are available here. This weekend in Blizzard’s collectible card game top players are competing in the conclusion of StarLadder i-League StarSeries Season 3. Matches are ongoing throughout today and tomorrow, with the grand finals scheduled for 2:30PM EDT Sunday. The 2GGC: Nairo Saga will deliver this weekend for Smash Bros. Wii U fans as top players from ZeRo to Abadango compete in the S Tier PGR (translation: it’s a bigger deal than most 2GGC Sagas, taking place in the Esports Arena with a total prize pool of $20,000). You can stream the tournament live in the stream below. In the world of Melee, since pro Smash players never seem to get breaks anymore, Saints Gaming Live will see Hungrybox and others compete in South Toronto at a convention featuring a number of other smaller tournaments as well. You can stream that event here. The Mid-Season Brawl hits competitive Heroes of the Storm this weekend in a $170,000 ten day event that will see teams face-off against one another in the group stage today, with the grand finals scheduled for a week from this upcoming Monday. Things began earlier today with Fnatic vs. Deadlykittens and will conclude at 3:30PM EDT with Team Dignitas vs. eStar Gaming. Matches will resume on Sunday between 8:00AM EDT and 3:30PM EDT with the current scores and standings available here. The Pacific Championship continues this weekend with Machi Esports vs. DeToDator.Gold at 1:30AM EDT Sunday morning, while in the Premier Series 1246 vs. Miraculou kicks things off at 5:30AM EDT on the same day.